KNOX & KANE RAIL TRAIL! 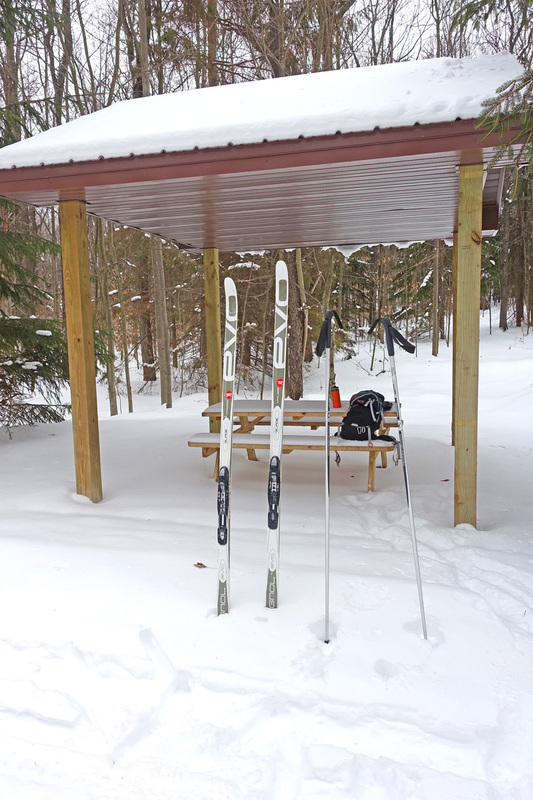 Walkers/hikers, handi-cap persons with or without motorized mobility aids (not to exceed a 36-inch maximum width and maximum speed of 10 mph), joggers/runners, equestrians and also skiers, snowshoers and snowmobilers (max speed limit - 25 mph) during snowy times of the year. 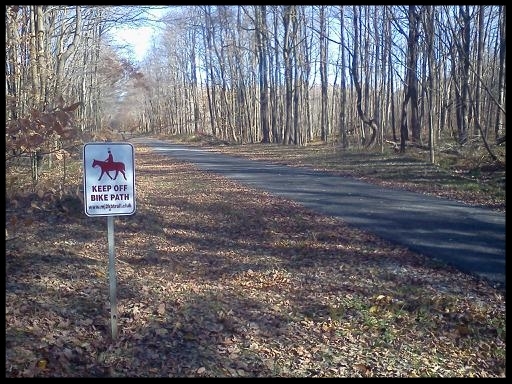 Trail users should obey all signs posted on the trail (click HERE to see signs). 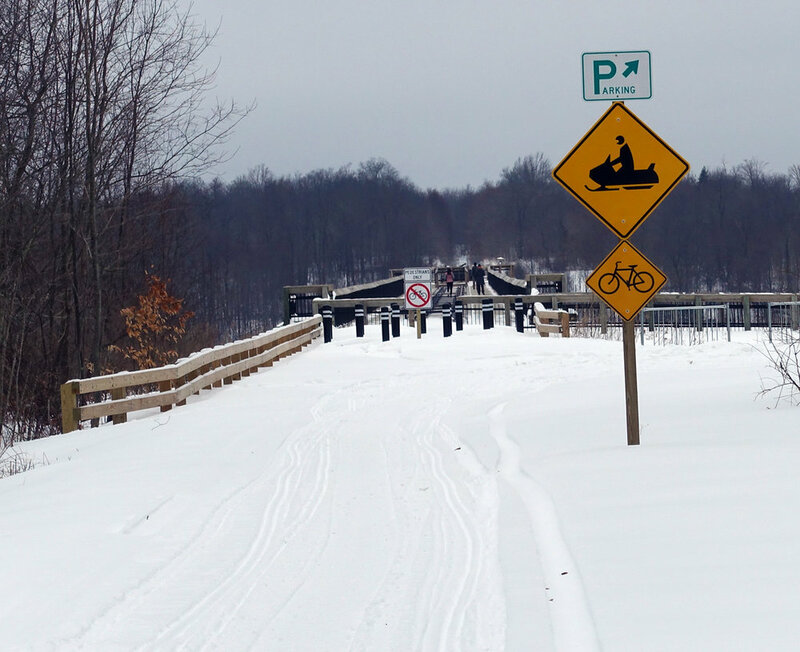 PLEASE NOTE: Snowmobiles cannot access the trail from the Kinzua Bridge State Park. 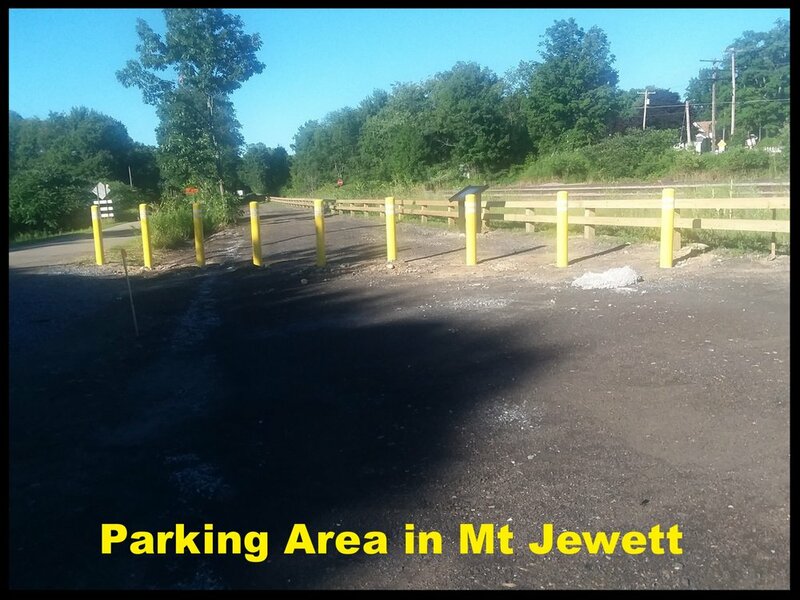 You will have to access the trail near Mt Jewett or Lantz Corners. For snowmobile trail information in our area - contact the Seneca Highlands Snowmobile Club in Smethport; the Marienville Trail Riders Snowmobile Club (see our partners page); or ANFVB’s winter sports page. 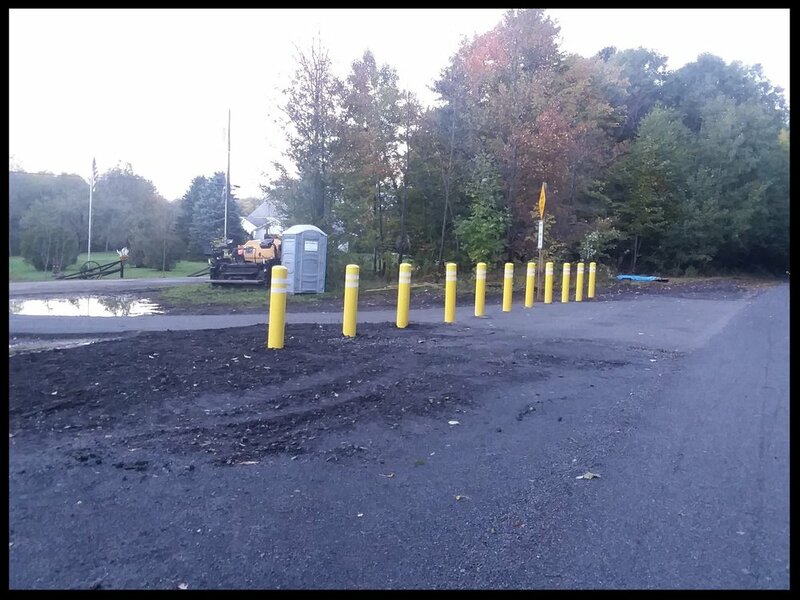 No vehicles or ATVs/UTVs allowed on the Knox & Kane Rail Trail unless pre-authorized or in emergency situations. 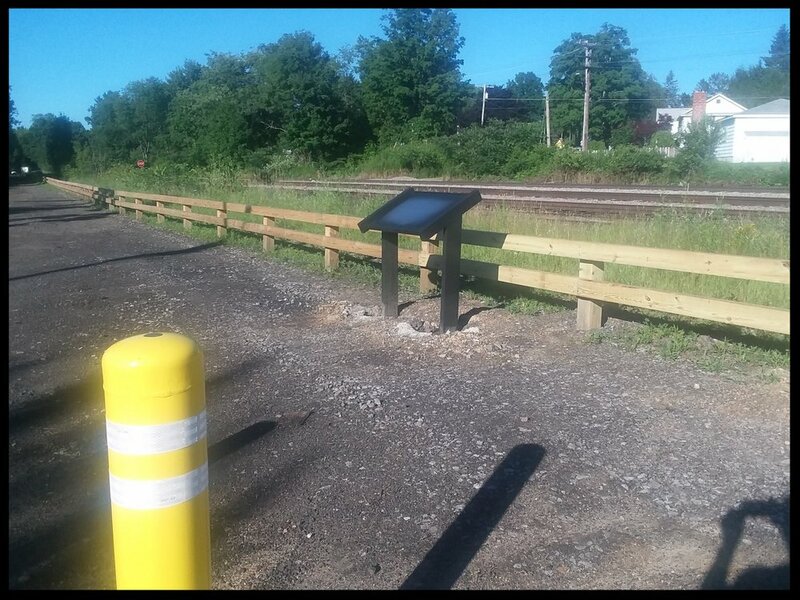 Learn more about rail trail etiquette HERE. 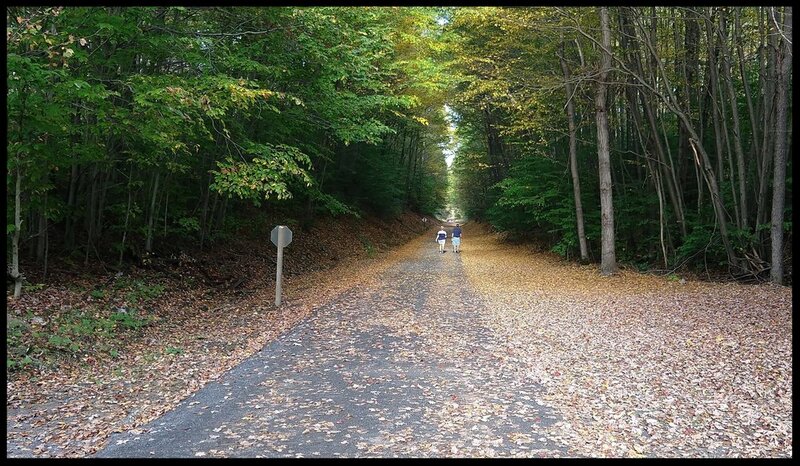 KNOX & KANE RAIL TRAIL is featured on the rails-to-trails conservancy trailblog (#5)! 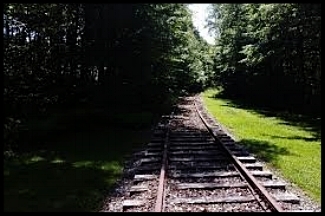 Click on rails-to-trails logo to view article. KNOX & KANE RAIL TRAIL GRAND OPENING WAS A GREAT SUCCESS!! Click HERE for more pictures. 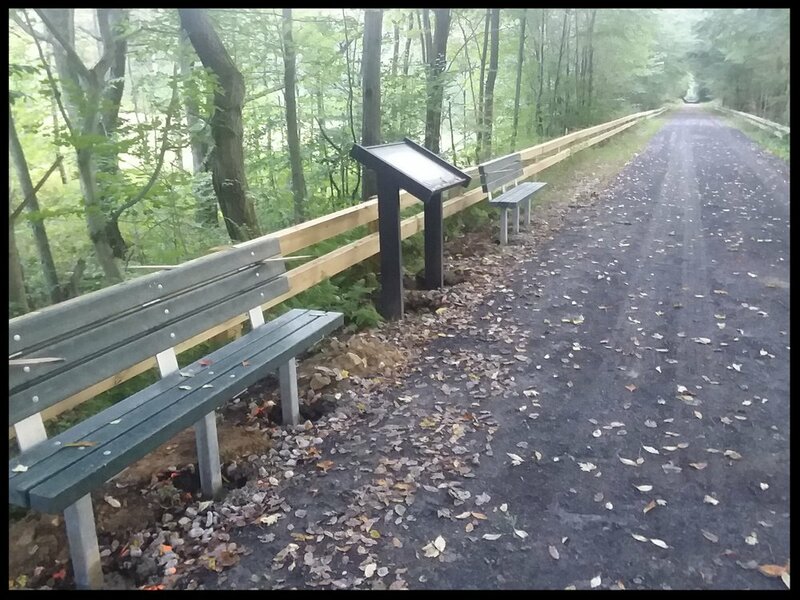 Some MJ2KB Trail Club Members at the Knox Kane Rail Trail ribbon cutting ceremony 10/19/18. Here's where the dirt/debris went! Pavilion 1 (towards the KBSP). Increased memberships in 2018 to 40 memberships! All of this could not be done if it wasn’t for our memberships, donations, grants and all the volunteers. So to everyone - I say THANK YOU! We are looking forward to another productive year in 2019. We have much to accomplish and continue to need everyone’s support! - Carolyn Stroup, President. Case’s Ladies’ Tresses - This is a very rare wild flower in Pennsylvania. 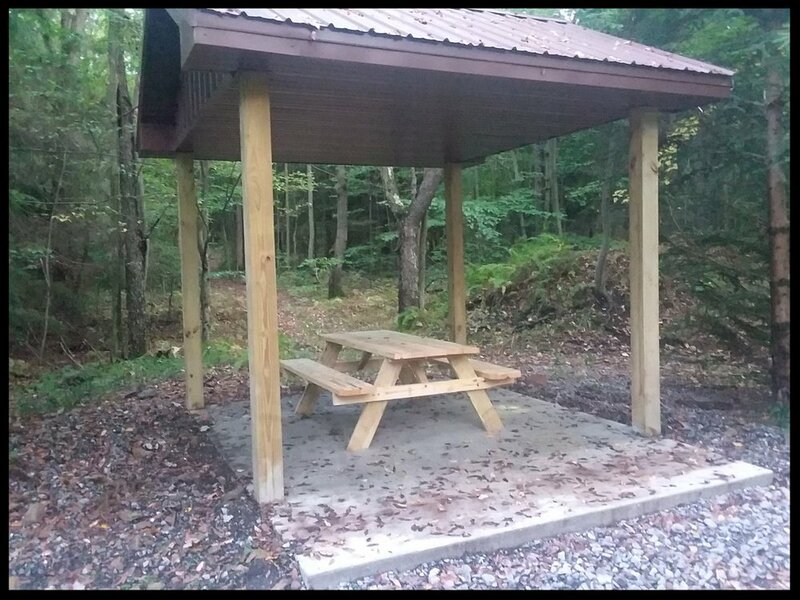 If you see this out along the trail, please take a picture and email it to us with its location. Read more about this beautiful orchid - click HERE. NOTE: All text in BLUE are links to additional information. Just click on them. We are a 501(c)(3) non-profit organization. Find out about our organization; its mission, meetings and fund raisers. Maintaining a trail requires a lot of money. Donate or become a member now. Note: To access and print the form you may need to download free software available via this link.